There’s two distinct camps on the ‘sucking the dummy clean’ scenario. There’s the mums that are perfectly fine with giving it a slurpy once over and jamming it back between baby’s lips. Then there’s the germ-phobes, horrified strangers and mothers-in-law that are simply NOT. For the dummy suckers amongst us the research is in. You may actually help prevent your child developing allergies. Sure, you’ve just licked an airport floor more-or-less. But, ick-factor aside, here’s why this age-old #mumhack might actually be less gross and more healthy than you know. According to new research, mums who clean dummies by sucking on them may have infants with a lower allergic response. Or so say the scientists at the Henry Ford Hospital in Detroit. The research conducted over 18 months spanned 128 mothers questioning how they cleaned their child’s dummy. Only 12 per cent of mothers admitted to sucking baby’s dummy clean. 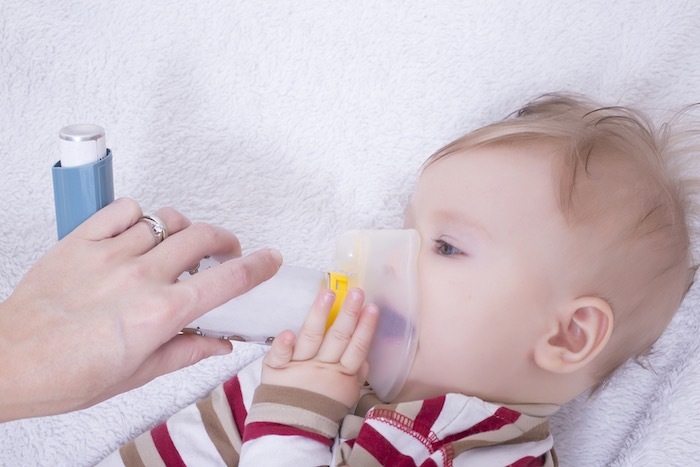 The researchers however found that in this small group the children of dummy-sucking mothers had lower levels of an antibody called immunoglobulin E, or IgE. This antibody is related to allergic responses in the body and Dr Abou-Jaoude says higher levels of it indicate a higher risk of allergies and allergic asthma. Is cleanliness making us sicker? Whilst the sample size is small and the research is preliminary the findings add further fuel to the fire that we’re washing away our children’s immunity with our cleanliness obsession. The concept of the ‘hygiene hypothesis’ links the first world’s increasing rates of autoimmune and allergic diseases to our love-affair with cleanliness. Some dirt and grime, so to speak, might actually be good. “Parental pacifier sucking may be an example of a way parents may transfer healthy microorganisms to their young children“ Dr Abou-Jaoude says. But what about what’s on the floor? VOM. Yes, this study doesn’t even touch on what you could potentially be putting in your mouth while sucking baby’s dummy clean. Let’s not even think about it. But it sure as heck gives you a nice little comeback for the naysayers. Sorry mother-in-law. Pass me that dummy and bring on some healthy germ sharing! 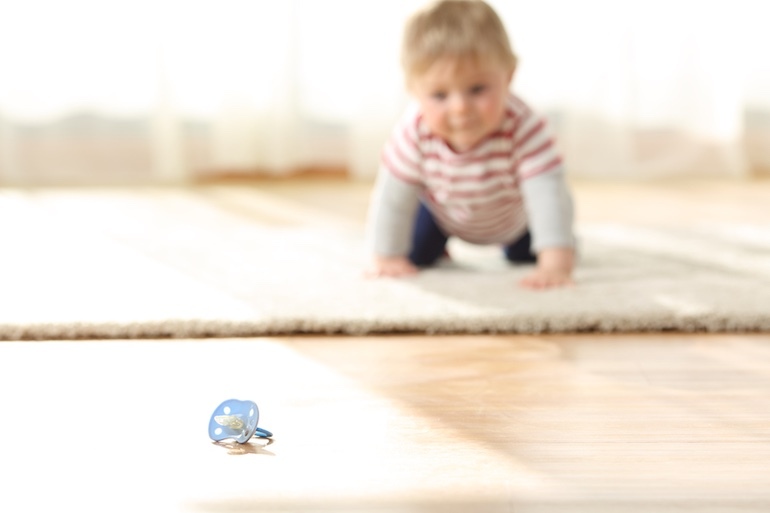 Ready to ditch the nuk-nuk for good? 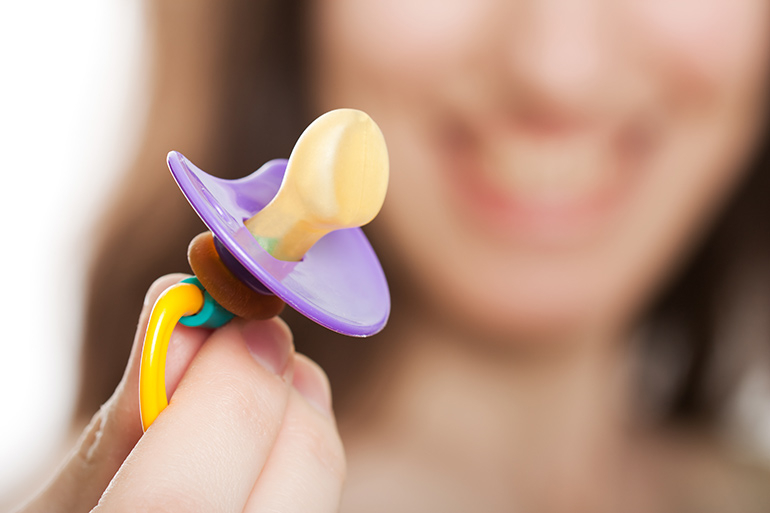 Here’s 10 ways to help baby give up their dummy.